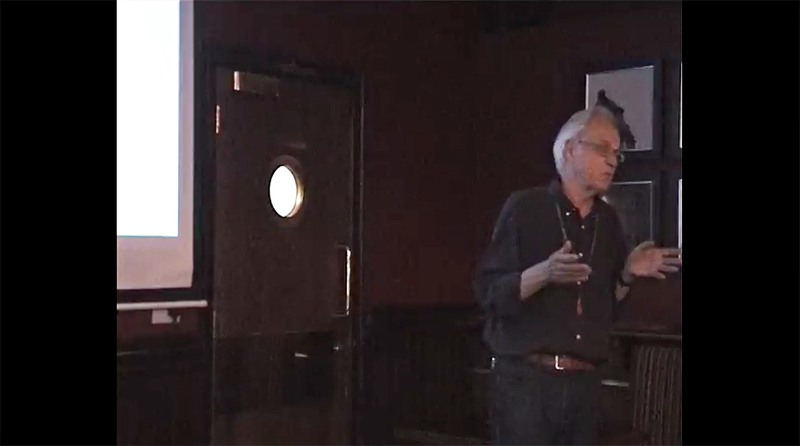 Dr Nigel Collar giving a talk entitled Preparing the Illustrated Checklist: value vs vanity at the Barley Mow on 18 September 2017. The BOC is experimenting with uploading videos of selected talks presented at regular BOC meetings and other events in which the BOC is involved (with the permission of the speakers). Dr Nigel Collar, the speaker at the BOC meeting held at the Barley Mow in London on 18 September 2017, kindly agreed to have his talk on Preparing the Illustrated Checklist: value vs vanity videotaped and uploaded to YouTube. We invite you to enjoy this interesting and illuminating talk and let us know what you think. 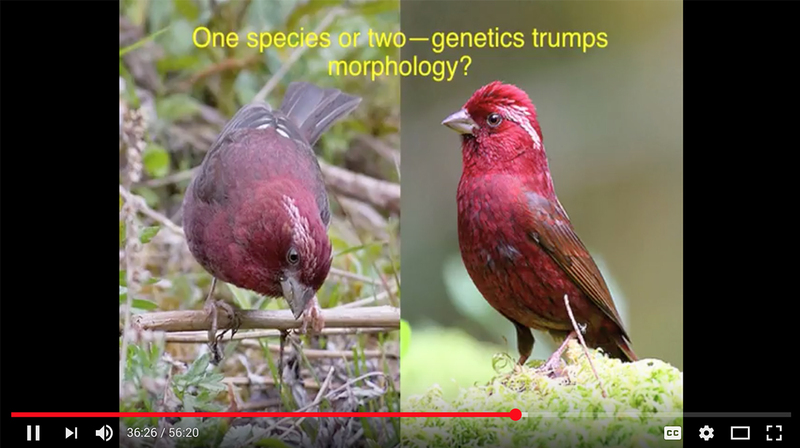 Dr Collar cited and commented on many research papers including “Molecular and morphological evidences reveal a cryptic species in the Vinaceous Rosefinch Carpodacus vinaceus (Fringillidae: Aves)” published in Zoologica Scripta in 2010. Dr Collar states: World checklists are necessary but unforgiving confections. International conservation organisations and legal instruments require a list that is at once stable yet flexible, standardised yet sensitive. Using a set of criteria based on degree of phenotypical differentiation, the recent HBW and BirdLife checklist has sought to assess multifarious taxonomic suggestions emerging from the (mostly molecular) literature, but has also proposed a considerable number of novel changes. I called the talk ‘value vs vanity’ because, while there is obvious value in having a world list, it inevitably needs a degree of grandiose self-obsession to take on such a task and a degree of the opposite quality to keep reality in check. I thought of calling it ‘Taxonomy and the Augean Stables’, ‘Taxonomy and the Minotaur’s Labyrinth’ or ‘Taxonomy and the Punishment of Sisyphus’, but these all project a mythical status on the work which is scarcely apposite. You can read a full summary of the talk at the 2017 Past Meetings page.